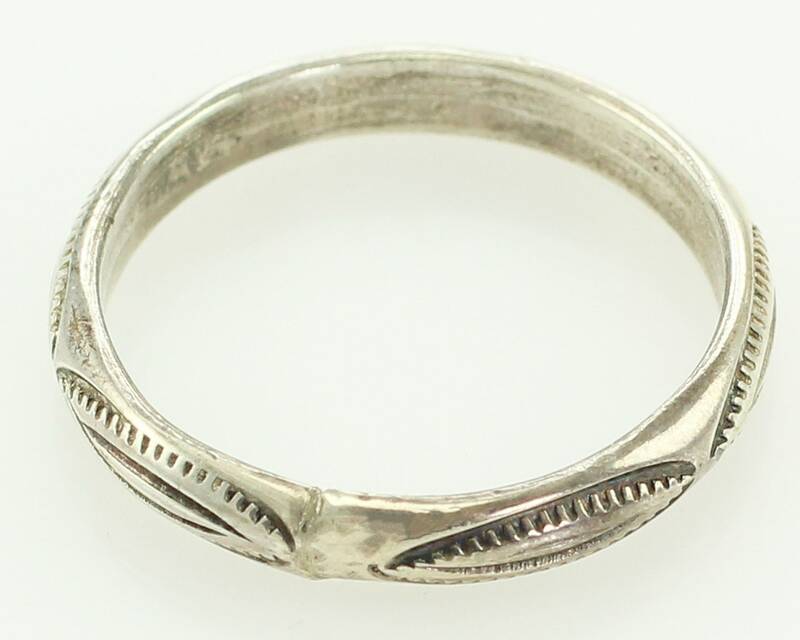 Vintage Stamped Sterling Silver Wedding Band Ring. 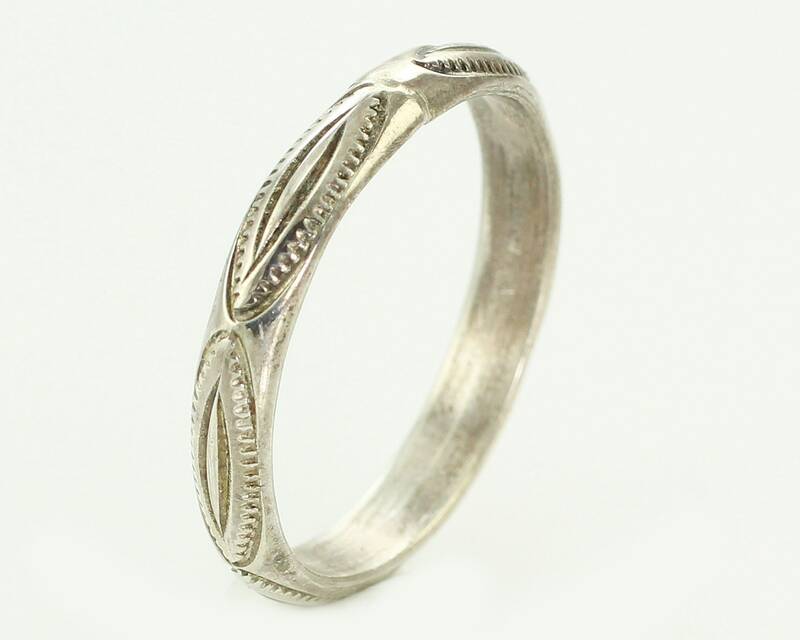 This hand made domed wedding band is decorated with stamped patterns. The band is 3.3 mm wide and is 1.5 mm thick. It is part of the New Old Stock we purchased from a trading post that closed in the 1980s. In very good, unworn vintage condition. CONDITION: In very good, unworn vintage condition, with patina. 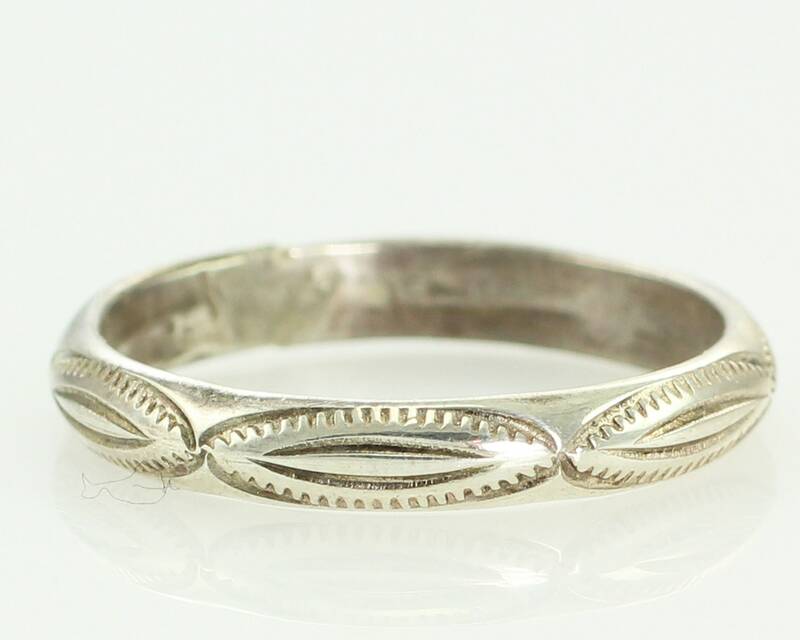 MEASUREMENTS: Ring is 3.3 mm wide and 1.5 mm thick.